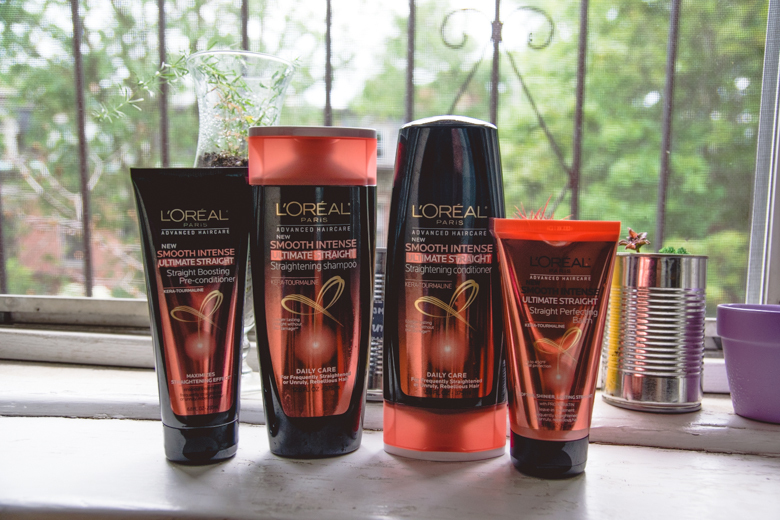 So, I was recently sent some straight hair shampoos by L’Oréal Paris. I received these products complimentary from Influenster for testing purposes, so let’s see if I’ll like it more than anything else I’ve ever used. Pulling these products out of the sleeve, I had a feeling I wouldn’t be too fond of the products. The flashy design make it seem comparable to salon quality, but as I’ve mentioned earlier, I’m a wannabe hippie Martha Stewart, so the design is not particularly appealing to me. My favorite shampoo thus far is by Kiehl’s & it’s complimentary at my gym, which makes showering there worth every penny. Their branding & labels are 100% minimalist since their products speak for itself. You can liken it to how vegetables & fruits don’t need extra advertisement at a grocery store. Anyway, I want to show you some photos of my hair in its most natural state by leaving it unwashed for a few days versus using all the products after. Finally, I will show you what my hair looks like using shampoo & conditioner designed for “all hair types” from Kiehl’s after a few days without washing. FYI, I take daily showers, people!! First off, what a ridiculously long name for a product that’s just supposed to straighten your damaged hair. I imagine the marketing team behind the name also likes adding a bunch of superfluous animation in their PowerPoint slides. STAR TRANSITIONS! CUBES! MOSAIC! FADE IN/OUT! Okay, let’s get to the point. My hair is half damaged from my jovial carefree early 20s, when I decided I wanted to dye my hair red & then bleached it myself like an idiot. Since it’s not healthy to wash your hair daily, you can see my hair in it’s natural state when it’s “untreated” after a few days. I use leave-in conditioner daily to treat my split ends & overall fried hair look, but bleach can cause some permanent damage. 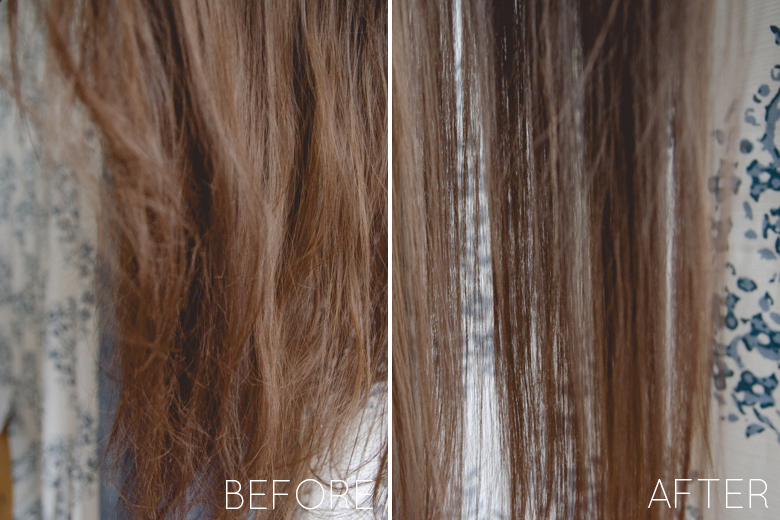 Overall, the products by L’Oréal smoothed out my hair & gave it some really great shine, but I wouldn’t recommend it for anyone with damaged hair from bleaching or a bad perm. The only thing that truly works for my hair is anything based in coconut oil & if you also have damaged hair from adventurous dye jobs, look into any shampoo, conditioner, &/or leave-in conditioner with coconut oil. Don’t mess with anything else even if it’s cheaper, just go for that coconut oil. My biggest complaint with these products is simply that there are just way too many. All I need is a shampoo & conditioner that can also work as a leave-in conditioner. Why is that too much to ask for? 4 large bottles of various soapy things just to make your hair the “ultimate straight” is ridiculous, a huge waste of water (3 of the bottles require you to apply them while in the shower & you need to WAIT for 3 minutes for each product), & not to mention money. I’m disappointed in you, L’Oréal. I really loved their products–that tear free tangle tamer from back in the day that smelled like a tropical holiday anyone? ?–but their Ultimate Straight is not so ultimate to me. Just looking at the photo above you can see that the Kiehl’s products (shampoo & conditioner) managed to create the same effect on my hair (& I’ll have you know it was exponentially worse than the first time I photographed my untreated hair) with less products. It’s also a more expensive product, but it’s not more expensive than 4 bottles of L’Oréal. Their shampoo & conditioner are made with coconut oil, so it’s no wonder it easily rivals L’Oréal’s 4 bottles of shampoo. Both products do smell really nice though, but my favorite is still Kiehl’s. 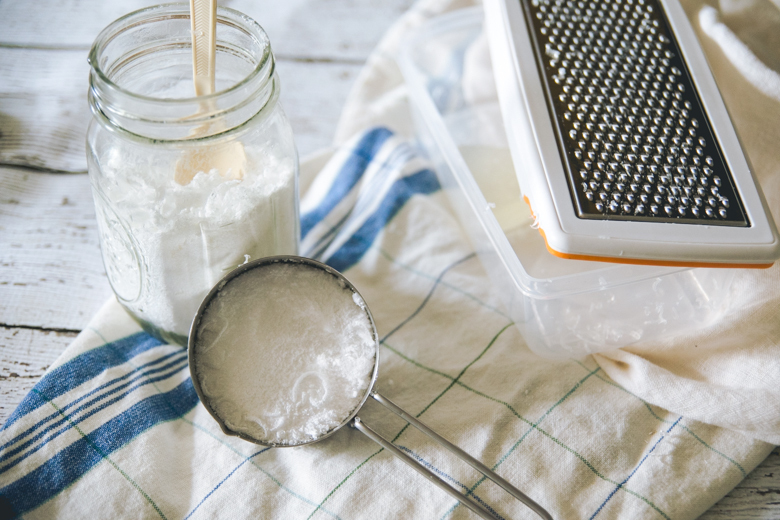 YES, YOU CAN MAKE YOUR OWN LAUNDRY DETERGENT!!!! & it’ll save you so much money in the long run! It’s so easy too, thanks to Bramble Berry. No need to constantly buy laundry detergent from the store when you can make it yourself & customize the fragrance. Pretty great, right? Melt the base in a microwave at 30 second intervals & stir in the fragrance oils with a stainless steal or wooden chopstick. A regular stick obviously works too. 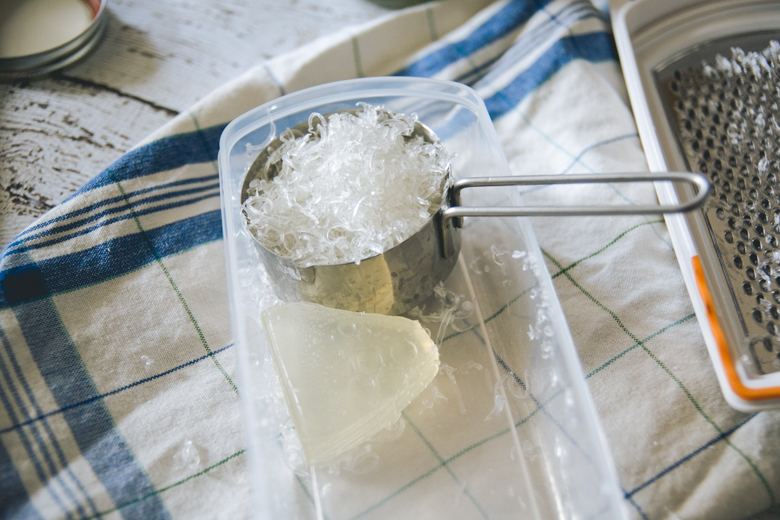 Pour the soap into a mold or dish & allow to cool for a few hours. 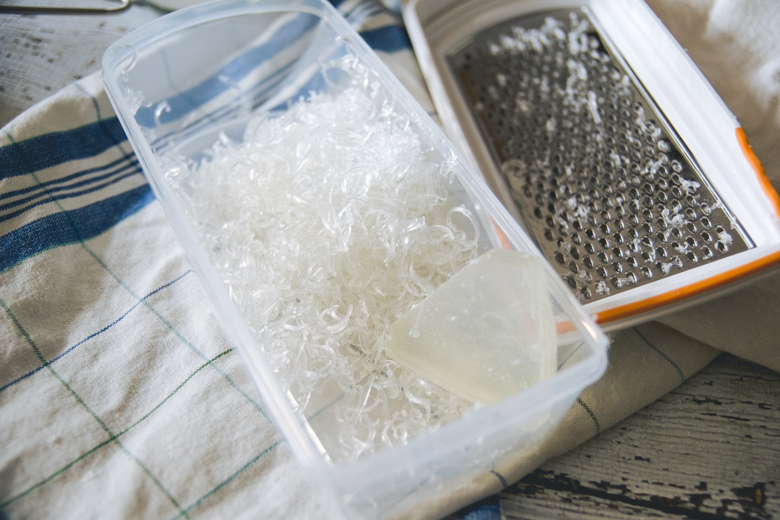 Combine ingredients & use about 1.5-2.5 Tbsp per load of laundry. You can add ½ cup baking soda for extra stain removal power! Major thanks to the Soap Queen for this recipe. So, anyone else get into any kind of DIY crafts this summer? Latest Jam » “One in a Million” by Hilary Duff + Mango Fruit Punch Iced Tea. I think I might do this! I bet you it smells really fresh. You should! You can buy any fragrance or essential oil to make up whatever scented laundry you’d like. It’s so easy, especially with melt & pour soap. 🙂 Smells very, very fresh indeed! And woot for having damaged hair! Like you, I did all sorts of dye-job and bleach jobs on my hair, and those certainly took a toll on my poor strand 🙁 I find that I no longer want to dye/colour my hair anymore (guess it’s part of growing older?! LOL), so I’ve been growing my hair out since last April. I have not tried that method, but I can imagine the acidity from the lemon juice & vinegar would damage my hair more than repair it. 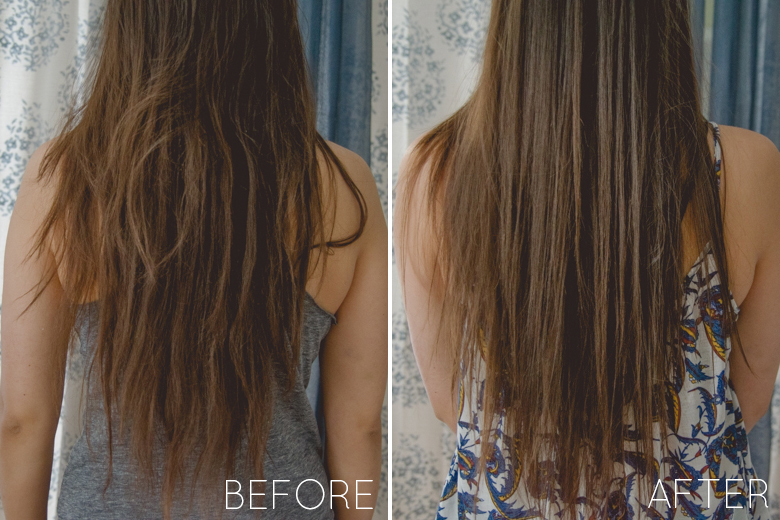 Oils are really good for repairing your damaged hair. Anything with coconut oil will do your hair some good, especially since we both have damaged hair. A lot of my co-workers have really fun hair colors, which makes me want to do something to it for funsies, but my hair…..it’s…. sigh 🙁 Oh well. First of all, I love how long your hair is. I too dyed my hair, but a solid black, and then bleached it. I had to have all of my hair cut off (about twenty inches), into a bob. I was very upset. Four years later I have finally grown it past my shoulders. A lot of shampoos make my hair feel very waxy and I am stuck purchasing extremely expensive hair products. The detergent I must try! I’m about to purchase a new home in two months so I have so many plans and ideas. The first thing I want to do is make a platform for the bed. Its basically strutted by 2×4’s and wood screws, with some staining and wala! Well that’s how it’s supposed to go. I’ll post an update when it’s finished! Hi Danielle! I chopped off my hair a while ago, donated it, bleached it, dyed it red, let it fade back to my normal hair, & now it’s as long as it is. That was in 2011! I enjoyed my short hair, but I also was excited for it grow back because I missed my long hair. Glad your hair grew back to where you want it to be! Cheap shampoos tend to make my hair feel very waxy as well, so I too am very tempted to buy Kiehl’s or L’Occitane, but my gym has Kiehl’s in the showers, thus there’s no immediate need to purchase the products. Additionally, it gives me great motivation to go to the gym: FREE KIEHL’S & SHINY HAIR!! What products do you like & buy? Good luck with your new DIY project! I have a platform bed I put together myself, but I ordered it online, so I didn’t build it from scratch the way you are. Very impressive. Not much of a builder myself, but I can follow directions. Would love an update on your bed when it’s finished!! haha, that shampoo name is funny to me XD It’s just 4 adjectives in a row, and it doesn’t really look like it fits on the bottles. I also feel like 4 bottles of product is excessive, so it’s nice to know that something with less does just as well. 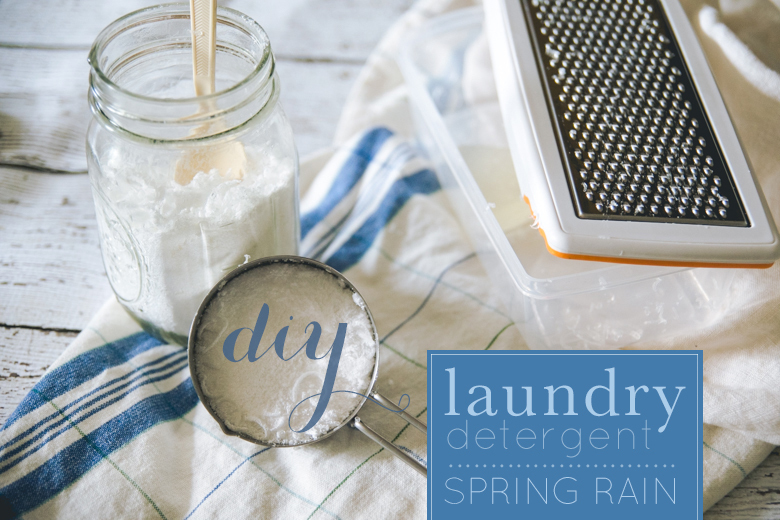 That’s cool that you make your own laundry detergent! I like the idea of customizing the fragrance, and of course, saving money is always a plus 🙂 As for DIY crafts, I’m getting back into sewing after taking several months break. Currently making curtains and working on cosplay! RIGHT??? I love how natural shampoo or really high end shampoos are really straight forward & simple with their names, but the ones that are out to prove something: 4 ADJECTIVES GUYS, 4. SUPER DUPER SILKY STRAIGHT SMOOTH. 😐 4 bottles of product is excessive! Granted, they’re not very expensive, but it adds up. Why spend so much money on 4 products when 2 will suffice at half the price & do everything & more? My hair is already really straight so I don’t benefit from the shampoo the way others might. I can’t wait to see your curtains & your new cosplay outfits! So talented. When I was in my teens, I really wanted to learn how to sew. It was like this itch I needed to scratch because I thought it was so cool to make your own clothes & what not. I wanted to mess around with a sewing machine, but my mom said she misplaced hers. Ah, I should learn one day though. It’s definitely on my list of skills I’d like to have, so good on you. Making outfits for yourself & curtains & blankets & pillowcases, etc is a great skill to have. Hey Tiffany, long time no talk! I honestly have no excuse for not commenting on your blog – yours is the only one I’ve kept up with since I stopped keeping up with mine. By the way, your Instagram is so on point. I’m just the absolute worst at keeping in touch. Regardless, I love homemade laundry detergent! I haven’t made any myself, but I helped a friend with hers. Plus, laundry detergent in a mason jar is infinitely cuter than laundry detergent from an ugly pitcher. My only concern is that it wouldn’t clean as well as store-bought detergent, but I’ve never tried, so I wouldn’t know. I’ve heard argan oil also helps with hair. 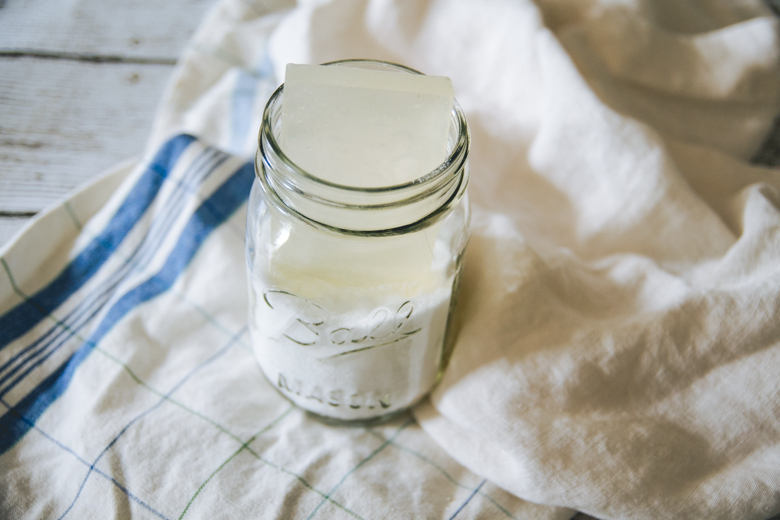 Do you leave coconut oil in overnight? I’d like to try it, but my roots get oily after a day. My ends are dry though, so I have a hard time finding a balance. As for DIYs, I’ve been painting some canvases and looking up IKEA hacks since I’m moving into my own house this fall. I made an apple cider vinegar and green tea toner as well, and I love it! 100% natural and better than anything else I’ve ever used. It went through! Didn’t get any duplicate comments, so you’re good. Don’t worry about not leaving me comments or keeping in touch! Pft, not a big deal at all. I’m so busy these days I’m barely keeping up with my blog. Gah! Trying to though, gotta get back in the game. Thanks so much for the wonderful compliment concerning my Instagram. 🙂 It seems like I can’t get over the 850 followers hump since Instagram gutted out the spam followers. Guess I just have to do a giveaway to bump it up hahaha. You have completely valid concerns, Emily! I’ve used my laundry detergent & it removes mild stains pretty well, but set in stains, not so much. If you add borax & more soap to the recipe, I think it’ll be perfect for some tougher stains. The best way to remedy a stain before it sets in is to either spray it with OxyClean or rub some really good soap on it & just let it sit there. 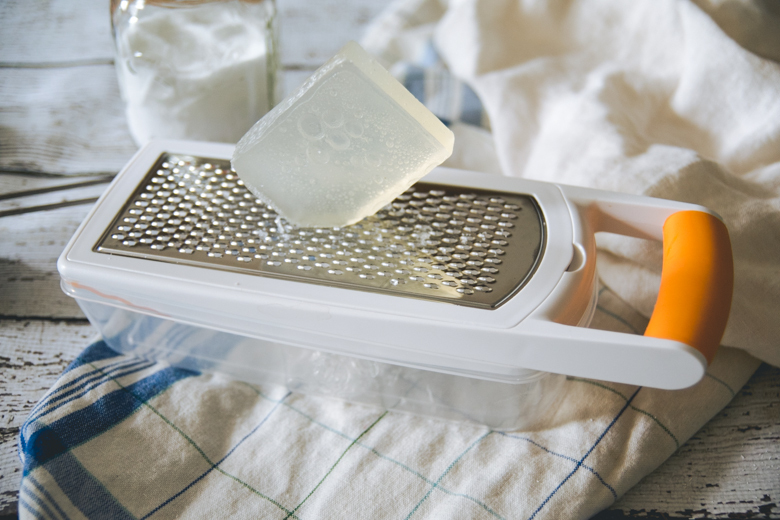 You could wash it immediately, but the soap sitting atop the stain should help make it easier for the DIY laundry detergent to remove it. Argan oil is so great for your skin! I haven’t used it for my hair yet, but my hair loooooooves coconut oil & it’s just worked the best for me. I like to use leave-in coconut oil conditioner on days when I don’t wash my hair to smooth out the dead & damaged hair. 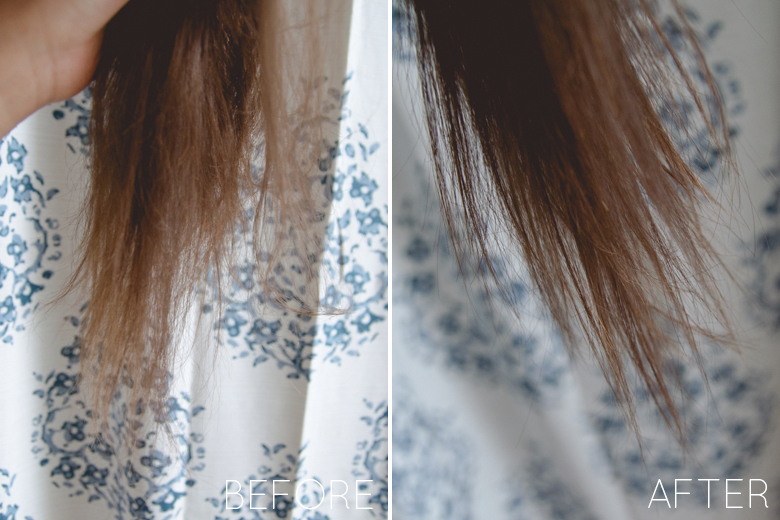 It makes my hair look like it’s so healthy – always amazed. If I end up showering at night, I don’t end up leaving it in overnight, but that would definitely help! You just leave the conditioner in on the parts where your hair is damaged, not your entire head so it shouldn’t affect your roots. My roots used to get really oily after like…12 hours after I showered, so I understand that dread. However, since I’ve stuck to the “don’t wash your hair everyday” therapy, it’s really helped. Dry shampoo is also my go-to for days when my hair is a little more oily than usual (probably around day 3 of unwashed hair, so it’s either wash my hair or dry shampoo & wash it out later). Your scalp is kind of like soil & your hair can be likened to crops in a field of soil. You can only sow the field so many times before it’s just one time too many & your crops aren’t growing the way you want them to be (too damaged, malnourished due to the bad soil), so you just have to let it sit & wait a while until it’s okay to start sowing again. So with your hair, you just have to let it be for a few days & then wash it because washing it everyday causes your scalp to constantly produce more oil than it needs to. Awesome new DIY projects! I have to make my own face wash, scrub, & toner too. I bought supplies to ensure that they won’t mold so I’m excited. My face could use some really nice natural stuff. Good luck with your new IKEA hacks for your new house. Really exciting!! I’ve also found that it’s difficult to gain Instagram followers. Recently, I’ve had a bunch of people follow and then unfollow when I don’t follow them back. Rude. But really, I’ve noticed it helps to comment on other people’s photos. I’ve found a few new mutual followers that way! I’m working on the whole “don’t wash your hair every day” thing. Right now I shoot for every other day, but I’m working towards once every 3-4 days. Dry shampoo is my LIFESAVER. The soil metaphor is a really good one – a lot of my friends wash their hair every day and then complain about it not being healthy. I try to explain it, but the response is always, “ew, you don’t wash your hair every day?! It looks so clean though!” Maybe one day they’ll listen to me, haha.